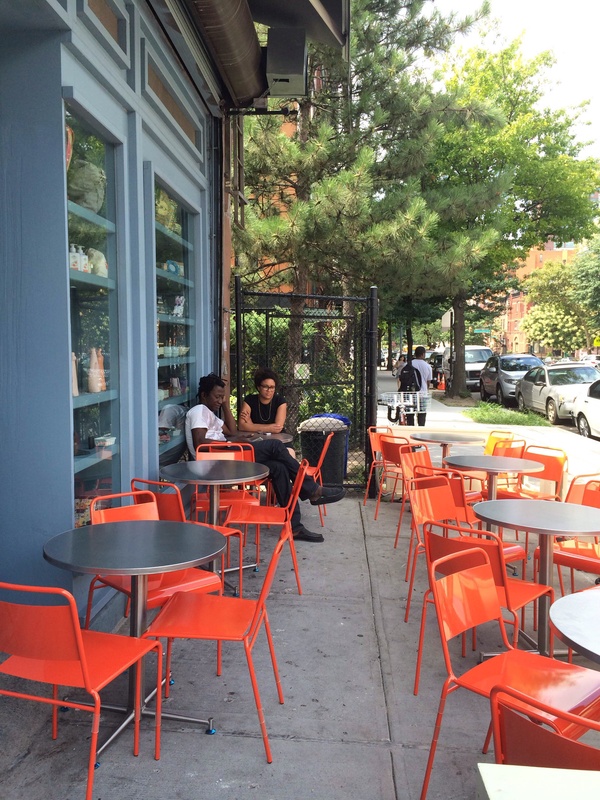 Silvana Harlem | HarlemGal Inc.
There’s nothing better than sipping a nice cup of coffee from Silvana in Harlem together with a pita egg sandwich and some tasty fried cauliflower. Yummy! Actually, what would make that treat better is being able to sit outside and people watch. And that’s we are all going to be able to do soon at Silvana in Harlem. 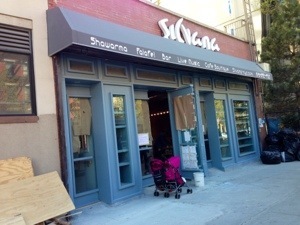 Starting tomorrow, August 7, Silvana will offer outdoor/side-walk seating. There will be red chairs and silver tables waiting for us to enjoy! 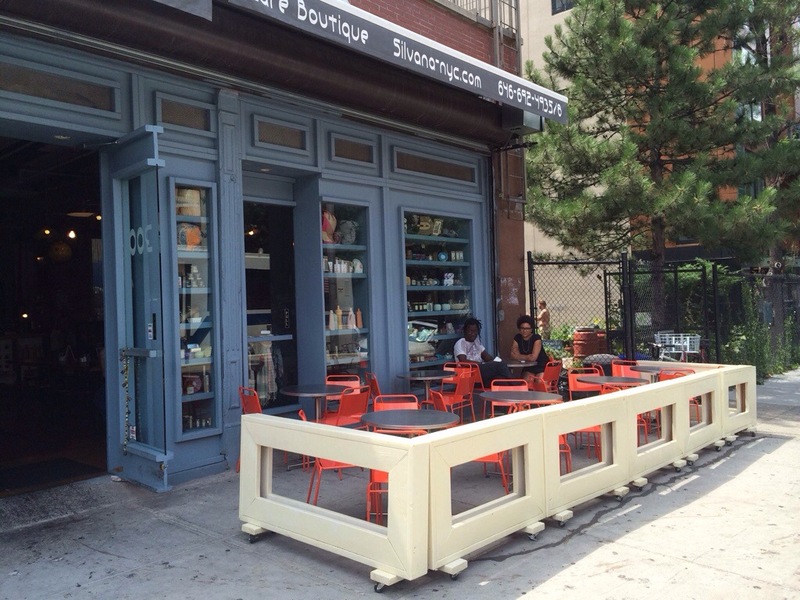 So if you’re in the area, stop on by and check out Silvana’s side-walk seating in Harlem. 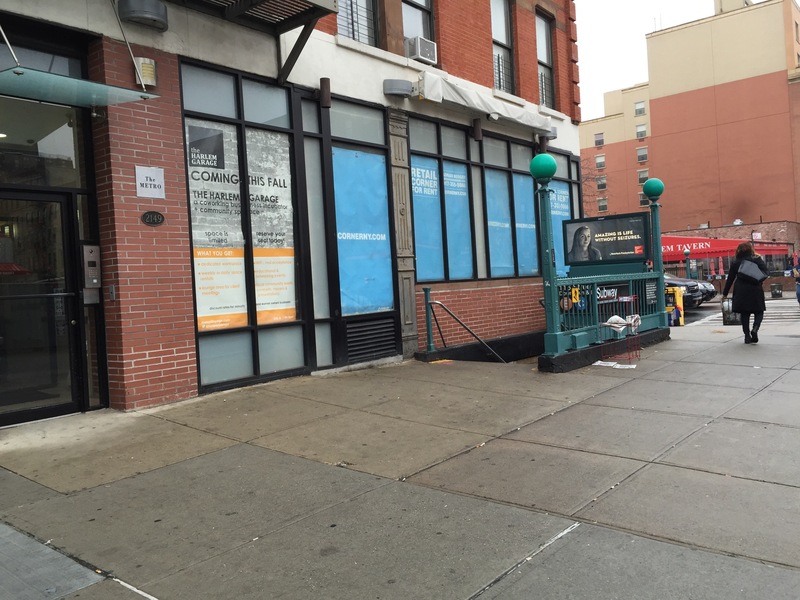 They are located on 116th Street between Frederick Douglass Blvd and Manhattan Avenue! See you there! Save the date of February 22! 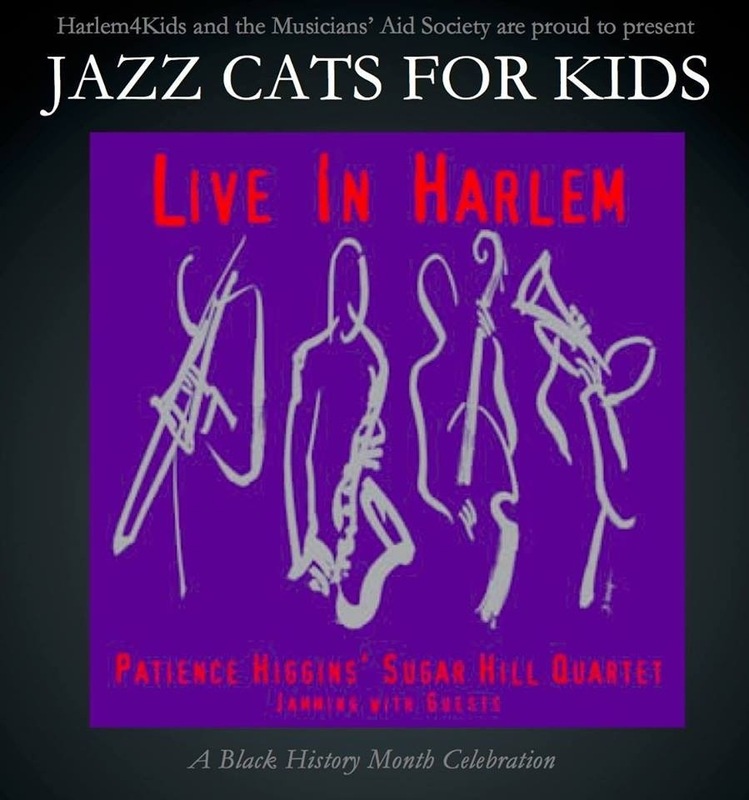 That’s when Jazz Cats for Kids will take place at Silvana in Harlem at 116th Street and Frederick Douglass Blvd. A jazz quartet will be on hand to entertain kids of all ages. The event starts at noon and is hosted by Harlem4Kids and the Musician’s Aid Society. Silvana will have their full menu available, as well as a few additional kid-friendly items for the crowd. Doors open at 11:30 am. Purchase tickets here. All tickets ($5/person, children under 2 are free) must be purchased in advance. 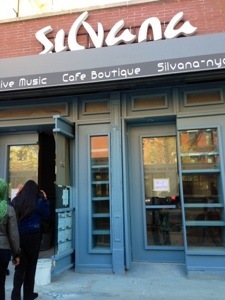 Silvana in Harlem, located on 116th Street between Frederick Douglass Blvd. and Manhattan Avenue, is changing things up a bit this coming Saturday. 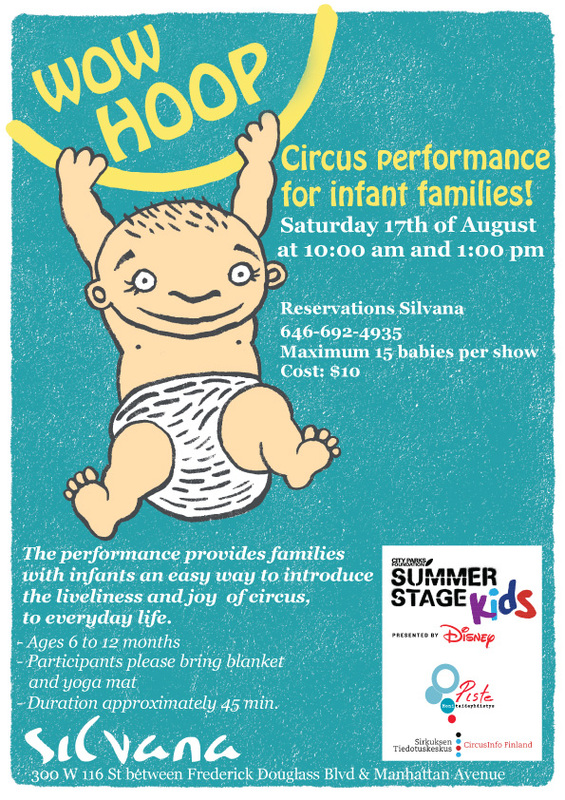 They are hosting two circus performances on August 17 for families with infants, ages 6 to 12 months! The first performance is at 10 am and the second is at 1 pm. The costs to attend is $10 and a reservation is required by calling 646-692-4935. (If I had an infant, I would definitely attend this event, wink, wink). Harlem families, check this event out! See additional details below! Wanna try the cuisine at Silvana Harlem, but can’t stay there for dinner? No worries. 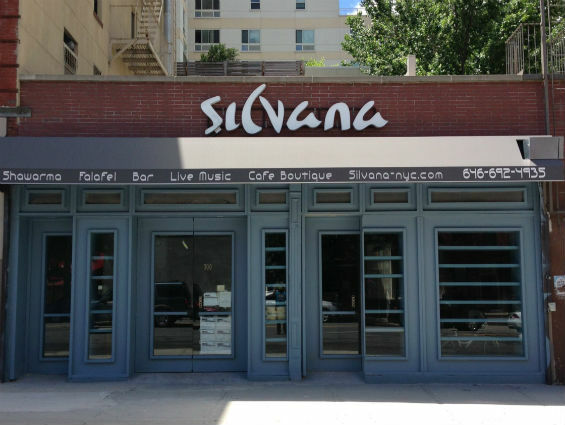 Silvana, located on 116th Street between Frederick Douglass Blvd and Manhattan Avenue, is now offering take out. No delivery yet. Call 646-692-4935 for take out! 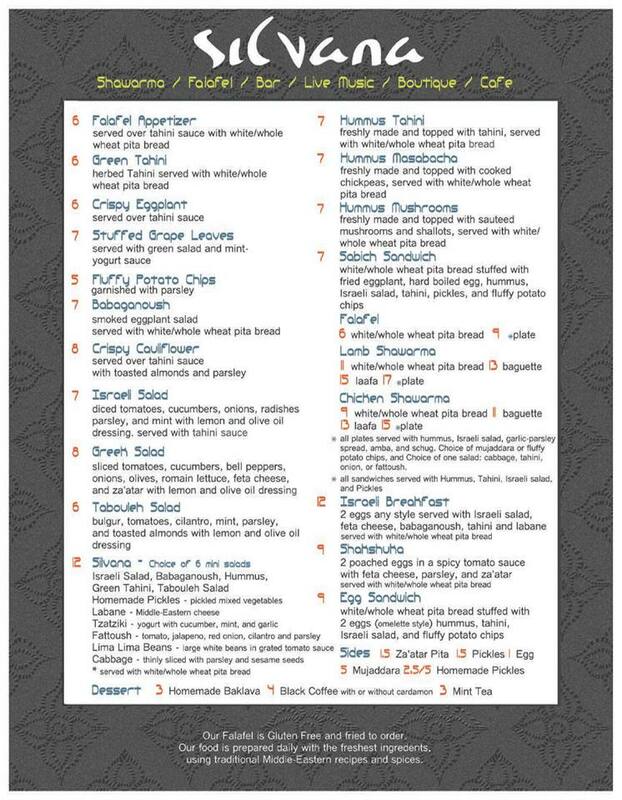 Take out menu is below. 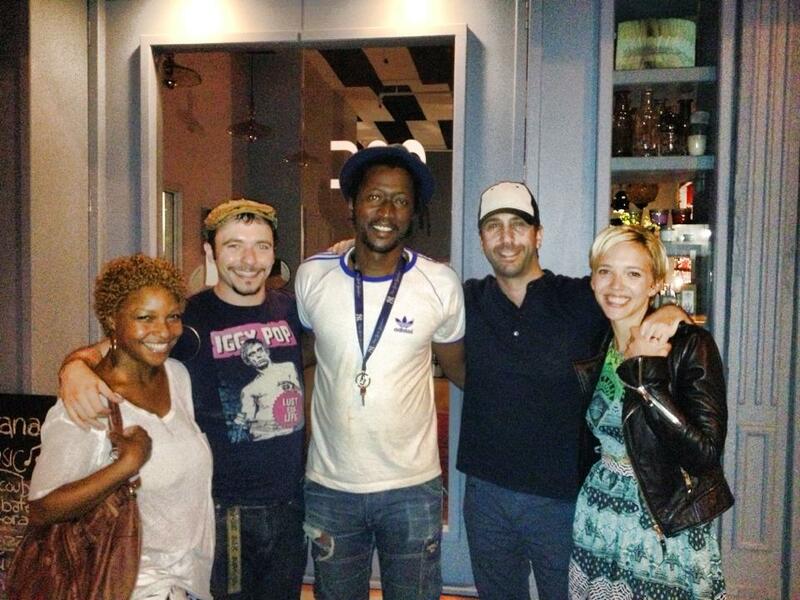 Celebrities stop by Silvana Harlem July 4, David Schwimmer of Friends and Sahr Ngaujah of Fela! If you were hanging out at Silvana in Harlem this past Thursday July 4, you may have seen a well-known TV star, as well as a Broadway star! According to Silvana’s Facebook page, Actor David Schwimmer, known for his TV role in Friends, and Sahr Ngaujah, known for starring in Fela! The Musical, were both hanging out at Silvana Harlem on the same night. There is no mention on Facebook if the two celebrities went together or just happened to be there on the same night. All Silvana posted was a photo of Schwimmer saying these two were present. Either way, very cool for Silvana. 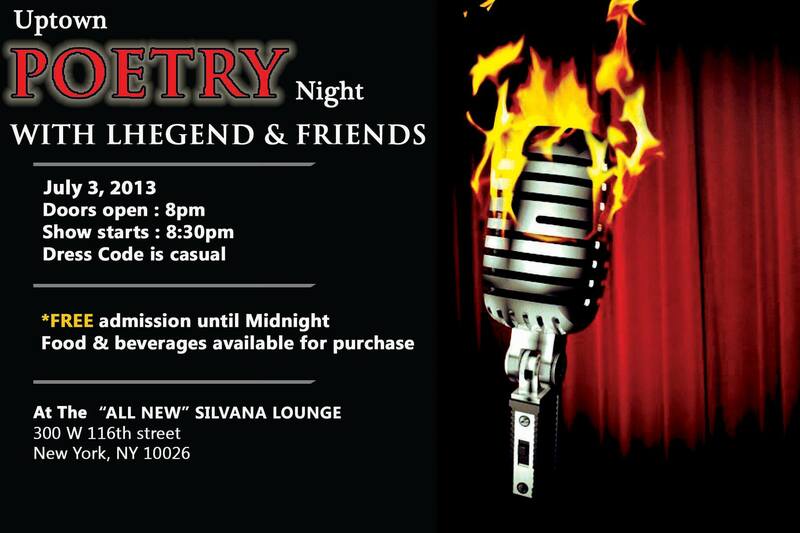 If you haven’t stopped by Silvana, it’s now open for business. Stop on by. It is located on 116th Street between Frederick Douglass Blvd and Manhattan Avenue. Did you see the nice article about Silvana Harlem in the Village Voice yesterday? It had plenty of good details, like where the name Silvana comes from and whose running the kitchen, etc. 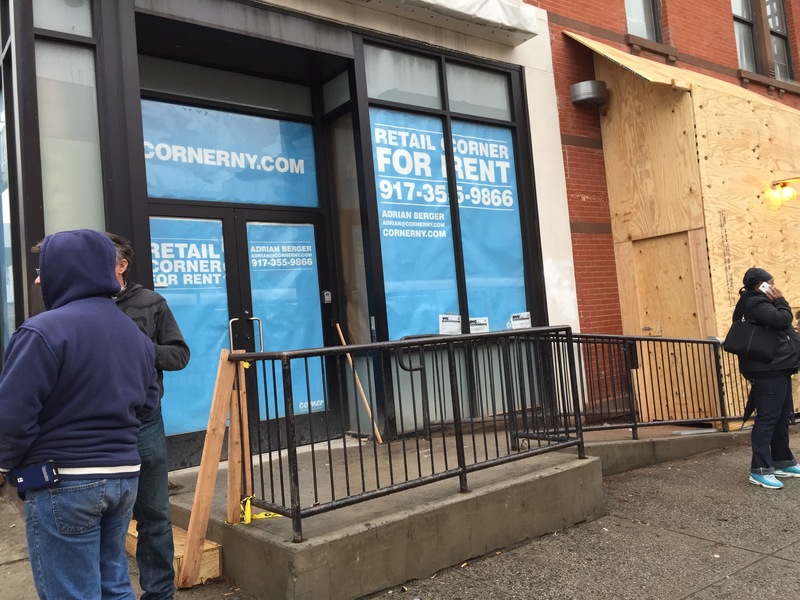 The article also confirms what this blog’s known all along, Silvana Harlem at 116th Street and Frederick Douglass Blvd is opening soon. 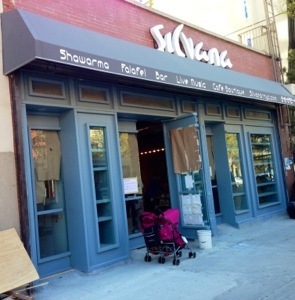 HarlemGal Inc now has confirmation from the owners of Silvana, who also own The Shrine and Yatenga French Bistro in Harlem, that Silvana Harlem will be starting their soft launch this coming Thursday, June 20 and as always, its by invite only. Then a few days later, like that Monday, they will open to the public. Can’t wait to check this place out. This blogger enjoys both The Shrine and eating at Yatenga. The Ouedraogo’s know quality and service in the restaurant business. I am confident they will deliver the same level of good food and service as they have done in the past in Harlem. Congrats to them and their beautiful family on their expansion efforts in Harlem. UPDATE: Silvana Harlem plans to have their opening night for the public Friday, June 21st and we will be open the next day on Saturday at 4 pm for dinner down stairs! 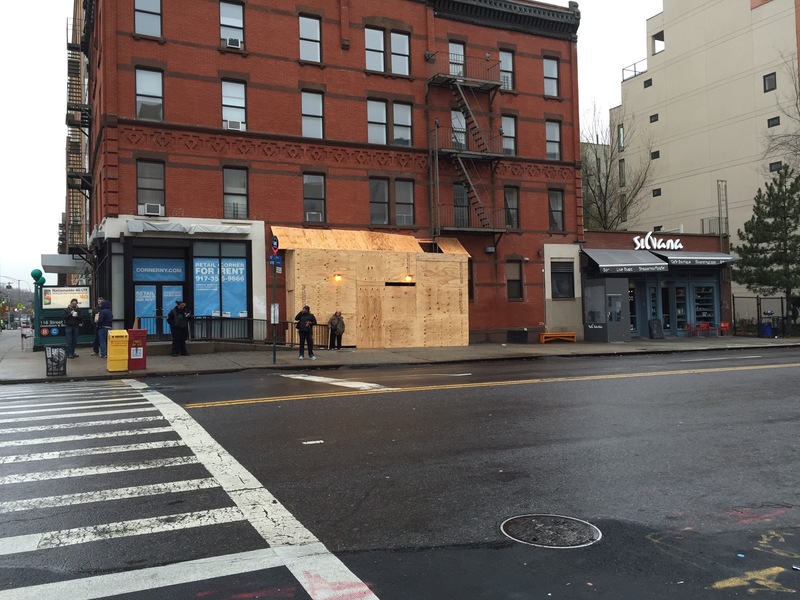 Is Silvana Harlem opening soon? 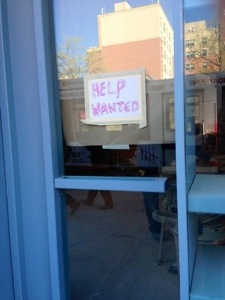 I walked by Silvana Harlem yesterday, this is the new restaurant opening soon on 116th Street and Frederick Douglass Blvd., and noticed the scaffolding is down and a help wanted sign is up! If you’re interested in working at this upcoming Harlem hot spot, stop by Silvana this coming Tuesday, April 30 from noon to 2 pm. By the way, I took a quick peak inside the place. It appears Silvana will have exposed brick on the first floor from left to right and columbia blue is featured on the exterior. It’s coming along! Stay tuned here for more details as they become available!